After a death of someone who drew up a will, a Grant of Probate is issued which gives one or more individuals the legal authority to administer the estate of the deceased. These individuals are known as the executors and they have the legal authority to distribute the assets of the testator. In many cases, people will want advice on contesting a will after probate and this is where seeking the advice of a professional legal firm, dedicated to providing the current and accurate information on how to challenge a will, is imperative. Once Probate has been issued, there are certain time limits on contesting a will that need to be considered. What are the grounds for contesting a will after probate? This is a common problem in Will dispute claims. Typically the Executor (or Personal Representative/Trustee appointed by the Will) has kept some estate money for himself, wrongly paid out estate money to a beneficiary, failed to pay out estate money from an estate under the terms of a Trust set up by the Will (for instance to a beneficiary on reaching 18 or 21) and failed to keep proper accounts or records. In some cases your claim might lie against a professional Executor or Trustee (bank, Solicitor or Accountant). Further and/or alternatively, we may be required to pursue the Executor/Trustee/Personal Representative for breach of Trust and/or to replace him or her. NOTE 1 : this type of claim may have a time limit of 6 years from the date of the breach or Grant of Probate. You should seek advice on it as quickly as possible. It is usually better to dispute a Will before probate has been granted simply because afterwards, the estate can be distributed. However, leaving this aside, if you seek to stop the Grant of Probate (by entering a Caveat), there is a risk of Court proceedings being issued against you whereas this is not the case after the Grant of Probate (it will be up to you to issue proceedings if applicable at that stage if you cannot resolve your dispute over the Will). How significant a risk will arise after the Grant of Probate (of the estate being distributed) depends on the circumstances. Usually (but not necessarily so) a letter of claim and threat of proceedings will be sufficient to prevent unnecessary distribution before your will dispute has been resolved. However, it is possible to seek an injunction to prevent distribution in the appropriate circumstances and it may of course be possible to recover estate money that has been distributed before your claim has finished. NOTE: you must not enter a Caveat to prevent the distribution of the estate if you are not contesting the validity of the Will but are bringing a claim for financial provision from the estate (under section 2 of the Inheritance (Provision for Family and Dependants) Act 1975. CONFUSED AND REQUIRING MORE INFORMATION?? Please don’t hesitate to contact us for a free and confidential chat. 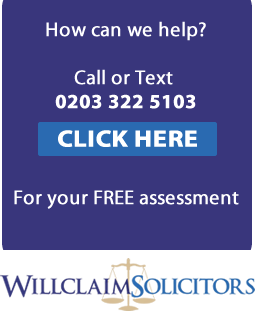 Our telephone number appears above (0203 322 5103).There will naturally be many different reasons why you may wish to contest a will after probate so please do not hesitate to contact us to discuss your situation and allow us to gauge the possibility of settling a will dispute favourably.